Amjad Islam Amjad is born on 4th August 1944 in Lahore, Punjab. His family originally belonged to a well-known district Sialkot. This district is also well known because the poet of the east, Dr. Allama Iqbal also born in this city. Amad Islam Amjad gained his early secondary education from Lahore. He further got admission in Islamia Civil Line College where he did graduate. During his educational life, he also participated in extracurricular activities as well. He has been performing his duties as a member of college cricket team. He has participated in many intercollegiate tournaments. After completing his graduation from Civil Line College, he later got admission in the University of the Punjab. Here he completed his master degree in Urdu literature. Later he started lectureship at Government M.A.O College, Lahore. 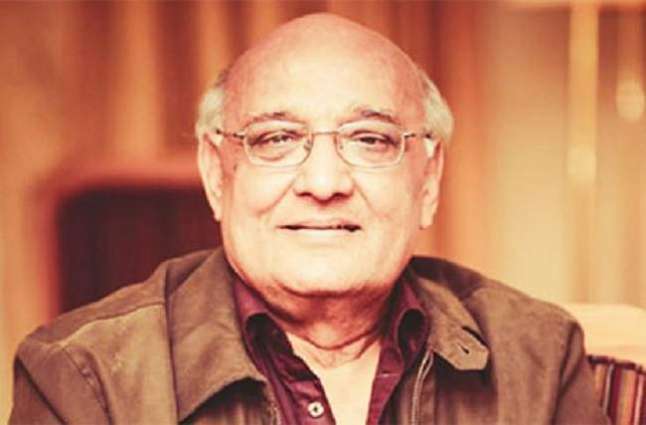 He has also been working as a director of Pakistan Television Corporation from 1975 to 1979. Amjad Islam Amjad continued to work eagerly. He is very committed to his duties. His long-term hardworking gave him more and more fruits that with the passage of time he maintained his unique position in literal and arts community of Pakistan. In 1989, he was appointed as Director General of Urdu Science Board. He has also been attached to children library complex where he performed his duties as a project director. Amjad Islam Amjad is working with literal and arts activities. He has for to television since a long time. Amjad Islam Amjad wrote some drama series of Pakistan Television Corporation. He is the writer of plenty of columns, translation, criticism, and essays. Although he has been working with different fields of literature, but his primary focus is on Nazams (Poems) that is an important field of Urdu poetry. Amjad Islam Amjad has written many drams for Pakistan Television. Some of the important dramas written by him are following that made him a distinguishing personality in Pakistan. Although Amjad Islam Amjad has written many plays for Pakistan Television but he has also worked in other fields like poems and Ghazals. Following are some other important writings of Amjad Islam Amjad. As Amjad Islam Amjad is also a renowned columnist, so he is welcome well by the newspapers. Since June 2008, he has joined Daily Express a well known newspaper of Pakistan. He is writing columns for this newspaper. His column is known as “Chasham-e-Tamasha”. Amjad Islam Amjad has received many awards and prizes from different sources. Some of the crucial awards received by him are as follow. At last, I hope you liked the biography of Amjad Islam Amjad. You may also want to read Anwar Masood: Biography. You can subscribe our website for more life history of great Urdu writers.